Dr Campbell performs many technical orthopedic surgeries such as cruciate ligament repair and medial patella luxation correction. He also can perform some types of fracture repair. 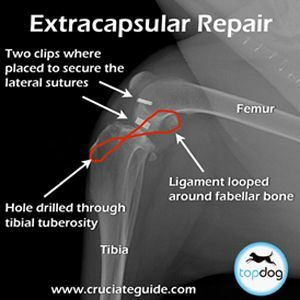 He has been performing cruciate ligament repair using the extracapsular method for over 20 years. He uses the Securos method or Orthozip method and has excellent results with his patients. 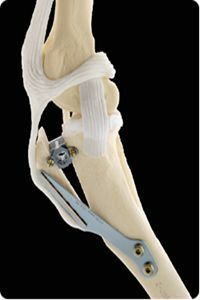 He also has been performing the newest technique for cruciate ligament repair called tibial tuberosity advancement. This technique often reserved for large, active dogs uses titanium implants to change the dynamics of the knee joint and eliminate forces created with cruciate rupture. Dr Campbell will consult with you about which procedure is the best choice for your pet.